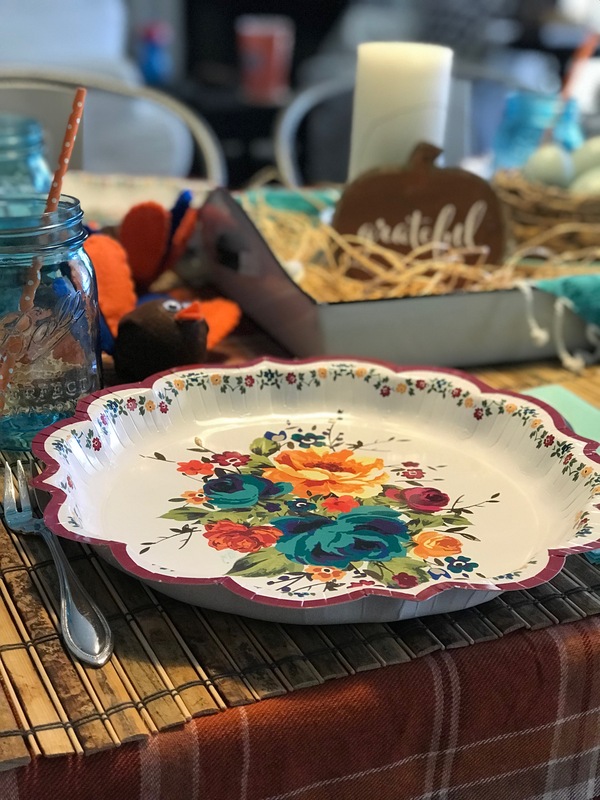 For our Thanksgiving meal, I found the most A.DOR.ABLE paper plates and bowls from the Pioneer Woman’s line at Walmart. Without a doubt, I am her audience. Middle-aged, tired, loves all things vintage, and too poor to buy Joanne Gains’ line at Target. 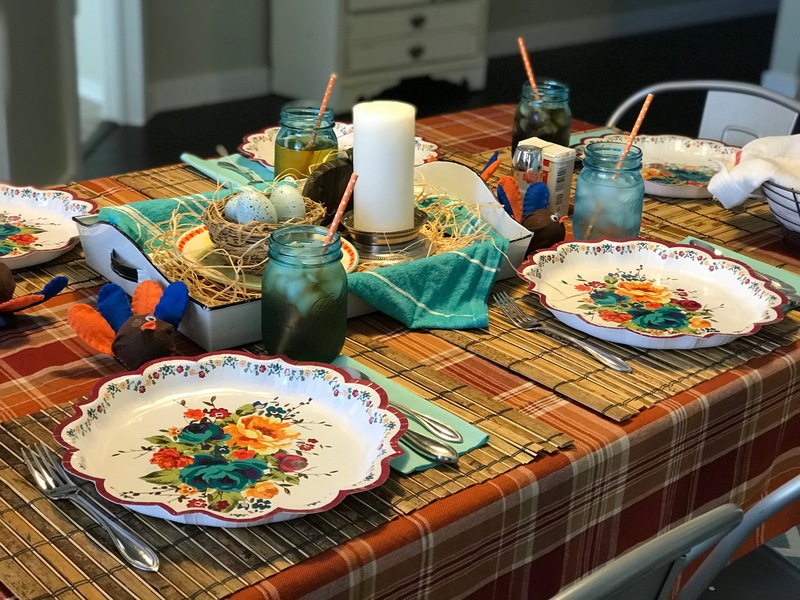 I set the table with our fall orange tablecloth, bamboo placemats (they clean easily), aqua napkins (obviously), and the paper plates. Pretty sure I replied with my usual snark (LET’S NOT DWELL) but he’s right. For the most part, I am anti-paper plates. Paying money to purchase trash to fill up landfills seems like an irresponsible thing to do. Regularly. But occasionally, when the plates are THAT cute and I am THAT tired? HARD YES. In my defense, I used our REAL turquoise mason jars and our REAL silverware. But don’t think I didn’t stare long and hard at her gold plasticware and glasses before deciding that might be a bit much. Over the years, we’ve spent many a holiday as a family of two, then three, and now four. We’ve done the big meal and fancy china and we’ve done the small meal with paper plates (OCCASIONALLY). There were years when we didn’t have much and years we had more than enough and years we’ve scraped by. Sometimes we spoiled our families and rarely we spoiled ourselves but we always try to spoil people we will never meet. And now, we spoil the children. Because they are stupid cute. The holidays have been joyous and awful and crazy and lonely and overwhelmingly wonderful. We’ve had full tables but we’ve also sat on the couch as just a couple watching football. The truth, the holidays cover every emotion and income-bracket imaginable. Paper plates, Wedgewood crystal, organic never-frozen turkey, turkey breast bought on sale, canned vegetables, fresh-picked-from-your-own-garden vegetables, three presents under the tree, thirty presents under the tree, cookies for Santa, never told the kids about Santa. No one size Christmas fits all. But I’m not sure we feel nor understand that. Maybe even if we know it deep down in our souls, we don’t trust that voice. So maybe you need to hear it said, to sit and think about the possibility, to truly decide for yourself how you are being led to do Christmas this year. You have permission to not. You do NOT have to watch a zillion commercials where husbands buy their wives diamonds and cars and exotic vacations. The TV has an OFF button. It’s like a miracle. Permission granted to NOT attend extra parties and events where you have to bring appetizers to share or white elephant gifts or organize an icebreaker game (Extroverts, please stop). Decide you are NOT decorating every room of the house or maybe, you’re not decorating at all! Make plans to NOT spend more than you have budgeted. Choose to NOT skip the neighborhood cookie exchange (Introverts, get off the couch). You’re allowed to NOT like All I Want for Christmas is You and ALSO to NOT miss a single Hallmark movie. Do NOT feel guilty for giving more to the Red Cross or Baptist Builders or World Relief or your local church than you give your kids (THEY WILL SURVIVE). Let’s NOT forget to get our kids involved in gathering blankets and buying coats and baking cookies to give to others. It’s okay to NOT allow social media voices to tell you Christmas is under attack. Instead, treat everyone this season like they are uniquely made in God’s image and worthy of our love and grace. You are allowed to NOT enjoy hanging ornaments on the tree because your kids have zero sense of symmetry and they want to do crazy things with the ribbon you use to cascade down the sides of the tree (SO I HEAR). Feel free to NOT listen to Christmas music all day and also to NOT feel ashamed when you listen to it all day in July. It’s okay to NOT feel okay. The holidays are the hardest time of the year for millions of people. You’re in good company. It’s fine to NOT be pressured into doing good things that take your focus away from the God things He planned for you before He placed a single star in the sky. You do NOT have to buy the #grateful Christmas tee shirt to tell a single solitary person you are grateful. You can just LIVE grateful and they’ll know. Do NOT spend hours cleaning the kitchen when you could have just bought the adorable paper plates. 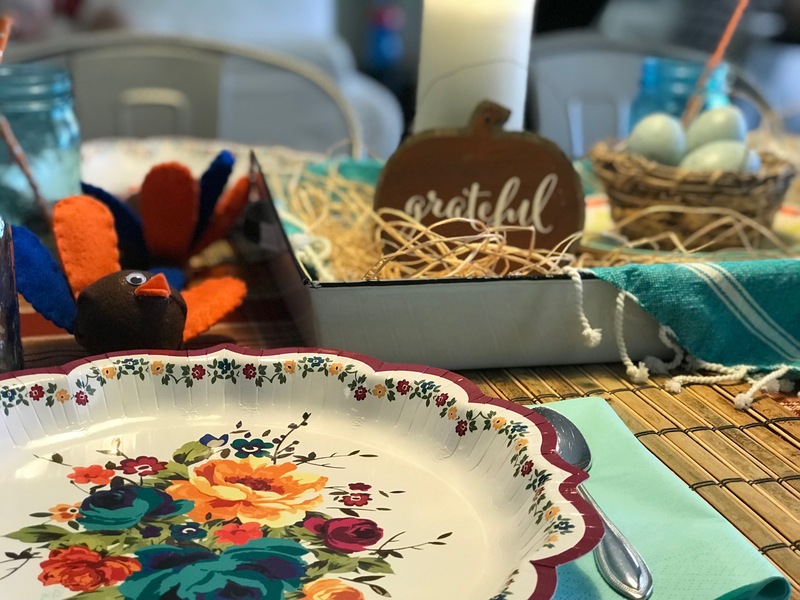 Permission to NOT focus on all the stuff culture says this holiday is and instead offer prayers of gratitude to The One this holiday celebrates. You have permission to not this year.